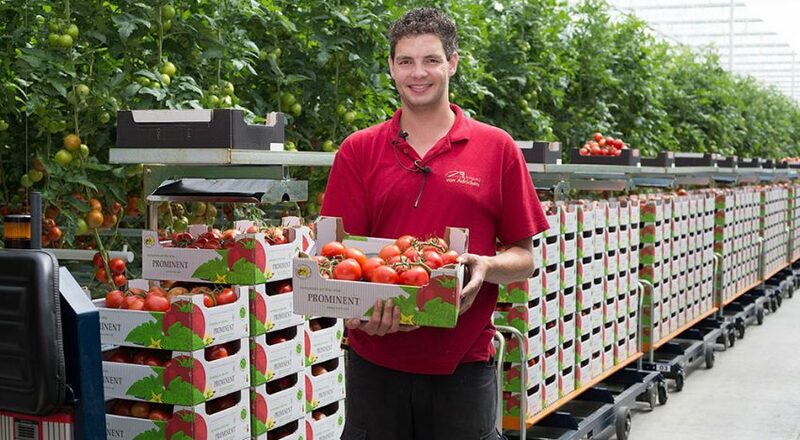 Intensive greenhouse horticulture is a key pillar of the agricultural economy of the Netherlands. Dutch greenhouses are worldwide recognized for their high-tech innovation, resource-efficiency, and year-round supply of assorted premium horticultural products. Energy use however is a major challenge, accounting for some 30% of total operating costs. The sector is hence constantly seeking innovative solutions to reduce its energy consumption. Among various options, the use of residual heat from neighboring industries is a particularly promising one. WarmCO2, situated in the bustling port and industrial zone of Zeeland, is such a front-running initiative. It consists of a modern greenhouse complex (100 ha today; 150 ha when completed) utilizing residual heat and CO2 from an adjacent fertilizer plant (Yara Sluiskil), supplied and managed via a cutting-edge pipeline network. Running since 2008 as a public-private partnership between Zeeland Seaports and Yara Sluiskil, WarmCO2 is unique because of its scale, advanced technical solutions, and positive inclusive impact. It is a successful example of large-scale symbiosis between horticulture and local industry, offering tangible benefits to the environment, the horticultural sector, the fertilizer industry, and the regional economy. It is a flagship project of the Zeeland port-industrial complex, where leading public and private stakeholders team up to accomplish a collective “Sustainability Ambition 2030” program. WarmCO2 showcases technical solutions and a sustainable business model for recycling industrial residual heat (1,700 TJ / year) and CO2* (60 kT / year) in greenhouse horticulture. The new 150 ha greenhouse park thereby avoids the burning of 55 million m3 of primary natural gas – equaling the yearly gas consumption of 35,000 households; and simultaneously also avoiding 135 kT / year of new CO2 emissions. Horticulturalists are offered a novel business solution that is convenient, reliable, safe, more environmentally friendly, and cost-efficient (50% savings on energy bills). They enjoy long-term contracts guaranteeing low- and fixed-price energy- and CO2 supplies. Yara benefits from the valorisation of (part of) its residual heat and -CO2, and from some concurrent optimization of its plant. WarmCO2 greenhouses will create some 750 new jobs – mostly for the low-skilled labor market, a segment for which there is insufficient employment offer in the region. *Used for “CO2 fertilisation”. In conventional greenhouses, this extra CO2 usually comes from gas burners. Infrastructural investments are high – 78 million Euro total CAPEX including a fully-automated 15-km long below-ground pipe network, and other essential installations. Ownership of infrastructure and critical equipment. Risk-ownership. An industrial – and in this project sole – supplier of residual heat and CO2 carries substantial operational responsibility and economic risks, and has to demonstrate much internal flexibility, when engaging in supply contracts with horticultural customers (considering factors such as for example fluctuating demand from the greenhouses; competing demand for CO2 from other industrial customers; plant turnarounds; and fluctuation of energy prices). The return on investments is much lower than for other industrial projects.